Key tags are a great little product. Literally. They hang from your keys and can hold all sorts of information. Names and addresses for example. But at Kaizen, our key tags are printed with a specific industry in mind. We have found that this particular industry has a great use for the key tag. Do have your own car dealership? Let us explain how our key tags can be of benefit to you. Imagine this scenario. You walk into work one morning. Your forecourt usually has 50 different vehicles stationed on it. But this morning you notice something isn’t right. You’ve noticed that there are only 49 to be seen. Panic takes hold of you. What’s happened? Has one been stolen? Damaged? You just don’t know. Maybe, just maybe, you just miscounted. Does this sound familiar? To make sure that you never face this crisis again, invest in one of our key tags. Key tags are a great car park management tool for your dealership. With a little help from our expert design team and a little personal insight from you, we can design and print a full mock up of your car park that fits onto one of these little products. We can even have it colour coded to suit your requirements. Kaizen’s personalised key tags for your car dealership allow you to make sure you know where your vehicles are on site at all times and to confirm who was last in the vehicle – so should any mishaps happen; you know who to ask what went down. Our key tags are printed onto a 400gsm silk card and are gloss laminated on one side which allows you to write on the other. This guarantees that you can keep track of who has used the vehicle and returned it. As standard practice, we drill two holes on each key tag. One hole is so it can be attached to the key ring and the other is to allow the tags to be hung safely. We've received great feedback over the years and have tailored this product specifically for the needs of the motor trade. With this said, our key tags are essential within the car industry to ensure adequate stock control on your forecourt. However, they are also perfect for estate agents, security companies and letting agents who manage many sets of keys on a regular basis. As with most of our products, our key tags are printed in bulk and with prices starting at just £90 for 250, you can be sure that you get excellent value for money, whilst saving pennies in the long term. With a range of quantities, starting at as little as 250 and going right up to 5000 for the larger dealerships, you can be sure that your showroom can keep on moving. You also don’t need to worry about having your key tags redesigned for reorders, so long as the design remains constant. So what are you waiting for? 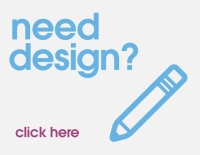 Get in contact today to talk designs and quotes with our team of experts.